The Board of Registered Polysomnographic Technologists (BRPT) offers the Registered Polysomnographic Technologist (RPSGT) examination for credentialing purposes. BRPT is not related to any other organization. It is a non-profit certification board that is working to design the highest workplace standards for polysomnographic technologists. The RPSGT credential is recognized internationally. 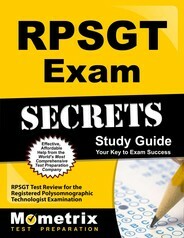 The RPSGT test includes abbreviated terms for which you will need to know the meaning, such as: cm H2O = centimeters of water pressure; CO2 = carbon dioxide; CPAP = continuous positive airway pressure; nCPAP = nasal continuous positive airway pressure; EGG = electroencephalogram; ECG = electrocardiogram; EDS = excessive daytime sleepiness; EMG = electromyogram; EOG = electro-oculogram; EPAP = expiratory positive airway pressure; FIO2 = fractional inspired oxygen; HFF = high frequency filter; Hz = hertz (cycles per second); IPAP = inspiratory positive airway pressure; LFF = low frequency filter; MSLT = multiple sleep latency test; mV = millivolt; mV/cm = millivolts per centimeter; MWT = maintenance of wakefulness test; uV = microvolt; uV/mm = microvolts per millimeter; O2 = oxygen; PAC = premature atrial contraction; PAP = positive airway pressure (CPAP or Bi-Level); PLMD = periodic limb movement disorder; PLMS = periodic limb movements in sleep; PSG = polysomnogram; PVC = premature ventricular contraction; REM = rapid eye movement; SOB = shortness of breath; SOREM = sleep onset REM; SOREMP= sleep onset REM period; SpO2 = oxyhemoglobin saturation; and TC = time constant. 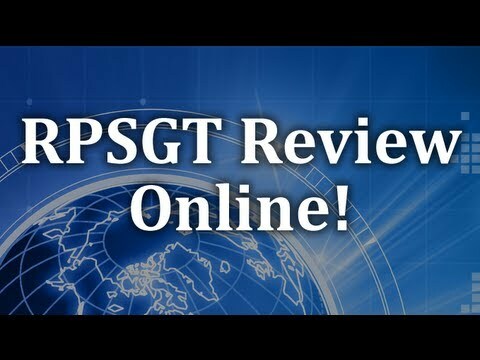 Ace the RPSGT test using our RPSGT exam study guide with practice questions. 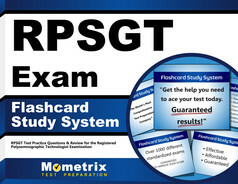 Quickly Solve Difficult RPSGT Test Questions with the RPSGT Flashcard Study System.